From Oscar de la Renta to Chanel, here are some of the most lavish and prestigious fashion brands. 6. Chanel The high fashion wear company was introduced to the world back in 1909 by none other than Gabrielle Bonheur Chanel, otherwise known as “Coco Chanel.” This is where the brand gets its inspiration for the famously recognizable logo that is two interlocking C’s. The company specializes in creating haute couture for its wealthy clients but also for fashion models like Naomi Campbell, who once modeled for them, and actresses Marilyn Monroe, Keira Knightley, and Nicole Kidman. One of their most famous products is the perfume No. 5 de Chanel, along with the Chanel Suit. Today, Chanel is valued at being $6.8 billion dollars. An interesting fact to note is that Karl Lagerfeld, the creative director behind Fendi, happens to be the creative director for Chanel as well. 5. Prada Founded back in 1913 by Mario Prada, this fashion brand actually started out by manufacturing leather bags and trunks. It would then evolve into selling everything from clothing to perfume and even a brief stint of LG Prada cell phones. Though the brand may have broadened its inventory, it still spends the majority of its focus creating some of the world’s most exclusive handbags that only the rich and famous can possibly hope to afford. Mario Prada believed that women should not be involved in business so he excluded his own family members from getting involved. In a fantastic twist of irony, his son did not care to run the business so his daughter Luisa Prada took over as his successor and is now currently being run by her daughter Miuccia. 4. House of Versace The fashion empire that is the House of Versace all started with fashion designer Gianni Versace back in 1978. He created a brand that has been synonymous with elegance and simply oozes high fashion. His glamorous gowns have gone on to make a name for himself as a respected designer. Like the case of the famous black dress held with gold safety pins that actress Elizabeth Hurley wore back in 1994 to the premiere of Four Weddings and A Funeral. Sadly, Versace’s life was cut short in 1997 on the steps of his Miami mansion when he became the fifth and final victim of Andrew Cunanan. The tragic event will be the story behind American Crime Story’s season 2 titled: The Assassination of Gianni Versace. After his death, his sister Donatella became the new Artistic Director and has established a $5.5 billion company her brother would be proud of. 3. 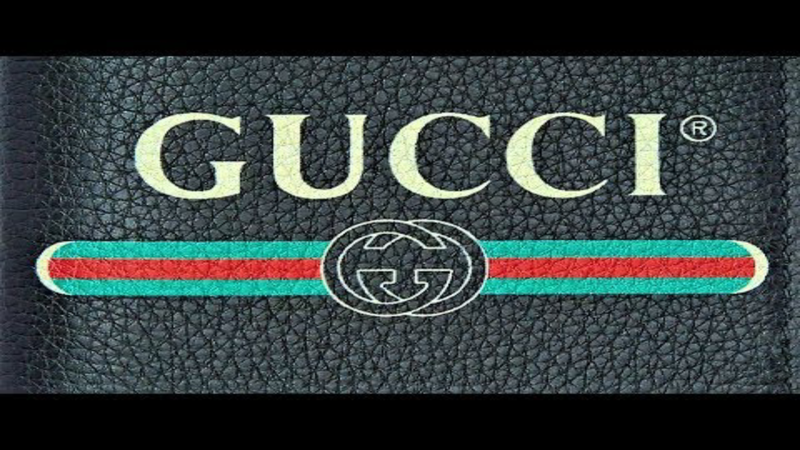 Gucci Started in 1921 by a Mr. Guccio Gucci, the company was originally dabbing in leather goods. It wasn’t until 19 years later when his son Aldo would take the company from being a one-stop shop into the fashion powerhouse that it’s now known for being. It’s Aldo that would usher in the era of the brand’s iconic “Bamboo Bag” and its “ready to wear segments.” In the 90’s, the company decided to bring American Fashion designer Tom Ford to revamp their women’s wear. He ended up helping launch the brand to where it is today. The fashion brand houses other well-known designers in its collections such as Alexander McQueen, Stella McCartney, and Yves Saint Laurent. If you’re in the market to do some shopping at this $12.4 billion brand, expect to spend at least $2,000. 2. Louis Vuitton This may come as a shock but the famous fashion brand has been around longer than you might have thought. Formed 163 years ago in 1854, a young man by the name of Louis Vuitton started out as an apprentice for a box-maker. Vuitton ended up becoming a well-known crafter of luxury trunks and opened up his own shop in Paris. He then ended up becoming the personal box-maker of Napoleon III’s wife, Empress Eugenie de Montijo. Fast forward years later and the company is now worth $28.1 billion with a generated revenue of $10.1 billion. Today, Louis Vuitton doesn’t make just trunks but designer handbags and clothing that can be spotted on the most famous of A-listers. 1. Balenciaga The beginning of Balenciaga’s reign began back in 1919 when it was established by its founder of the same name, Cristóbal Balenciaga. As a young child, Balenciaga became an apprentice to a tailor in his hometown of Getaria, Spain and would eventually get his formal training in Madrid. He would go on to create the House of Balenciaga and skyrocketed to success thanks to his artistic genius. He was hailed as the undisputed “ King of Fashion” and was highly respected among his peers which included the likes of Coco Chanel, Christian Dior, and Pierre Balmain. Balenciaga even helped train the likes of high-fashion designers Oscar de la Renta and Hubert Givenchy to name a few.